Morning Sylvie - what a beautiful card. Love how you've blended the green into the yellow to give such a zingy green - so fresh (and matches your blog background perfectly!!!) She is just going to love it. Beautiful card Sylvie, love the layout! I am not normally a 'green' person Sylvie but this is a lovely card - the shades are gorgeous! 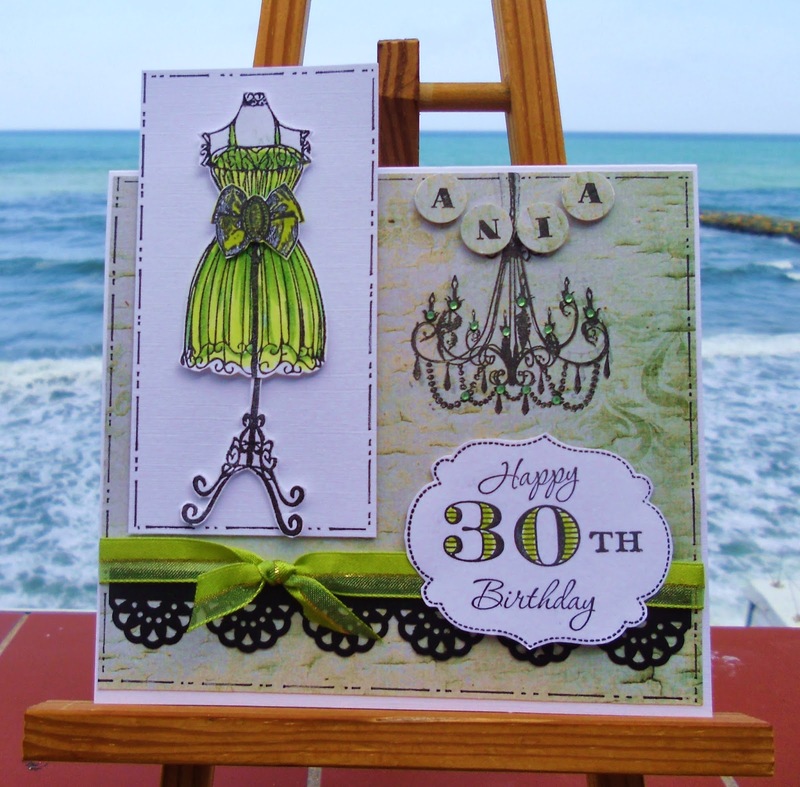 A super card...and I love the green!..not usually a colour I am drawn to in my card making. Such a glamorous design, I love it! The beautiful black border works so perfectly with the green. Your card is so adorable. I love the little details and the colors. Love these delightful dress forms! Perfect cards for special ladies!